Over of our Facebook and Twitter accounts on New Year's Eve we posted a link to a report from Keswick MRT about a rescue they'd undertaken that day on Sharp Edge. 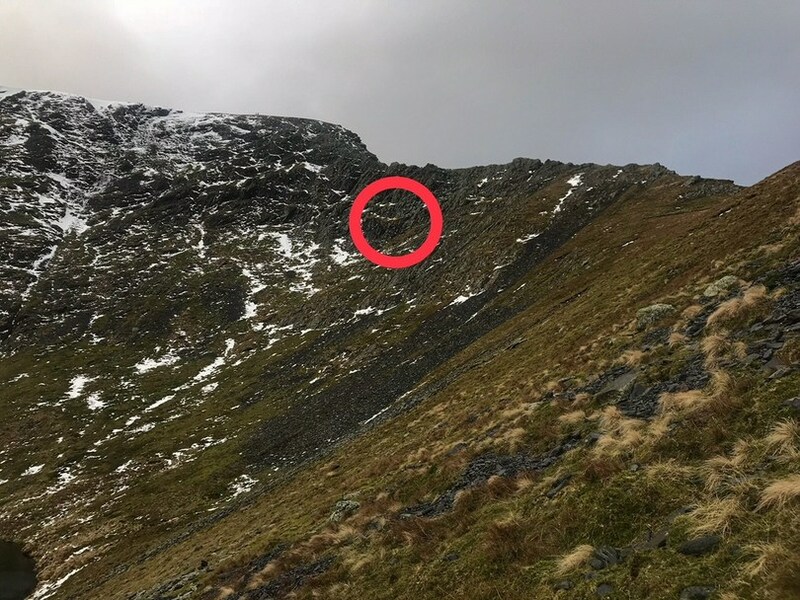 Incident Details: A couple who decided to descend Sharp Edge in winter conditions left the edge itself, and attempted to take a route directly down to the tarn, over a series of icy rock ledges and snow covered grass patches. As they didn't have the necessary winter equipment, they became cragfast some 60m below the ridgeline. Unfortunately for them -; and us -, there was no passer by to help them out this time (as there had been on Incident 98) so they ended up sitting it out in the cold for a couple of hours. The Team in that time had turned out, flogged up to Sharp Edge and rigged the crag to get them off, which took another hour. Keswick MRT's 99th call out of the year today, on Sharp Edge, and they're clearly a bit peeved about walkers going out poorly equipped for the conditions. Quite understandably too. Seriously if people are out walking on the fells hills mountains dales moors and they need to call out the MRT Because of getting caught out without the correct clothing footwear and equipment they should be fined !! They should be charged for time. Now all of these comments are understandable but we think that this is the wrong approach, both specifically and generally. Turning first to the couple who got into trouble. For a start they were stuck there, without adequate clothing for the conditions, for two hours before being rescued. If that wasn't both punishment and lesson enough then we can guarantee you that what MRT reports usually describe as "words of advice" were given. You can be sure these would be firm words. The bottom line then is that they won't make this mistake again so there's really no need to think about charging or fining them. More generally like any civilised country we have laws and punishment as a deterrent if people choose to break the law. Which is all very well for real crimes but do we really want to do anything which discourages people from getting out onto the hills? Surely we should be encouraging them. Similarly if they do get into trouble do we really want to put them off calling out MRT because they might get charged? But along with encouraging them we should be educating them to pick walks they're capable of and to go properly equipped. That's why we at WalkLakes, while encouraging people to walk in the Lake District as much as possible, also post about safety and about incidents like this: to remind people of the dangers and try to educate them so they won't get in trouble too. A good starting point is our page Walking Safely which links to an excellent leaflet Stay Safe and Enjoy the Fells (Adobe PDF, 869KB), and also some good videos. To our way of thinking the responsibility for this falls on everyone, not just people like us. So if your friends say they're going off up the fells and you don't think they're properly dressed or equipped then say so and try to steer them towards doing the right thing.